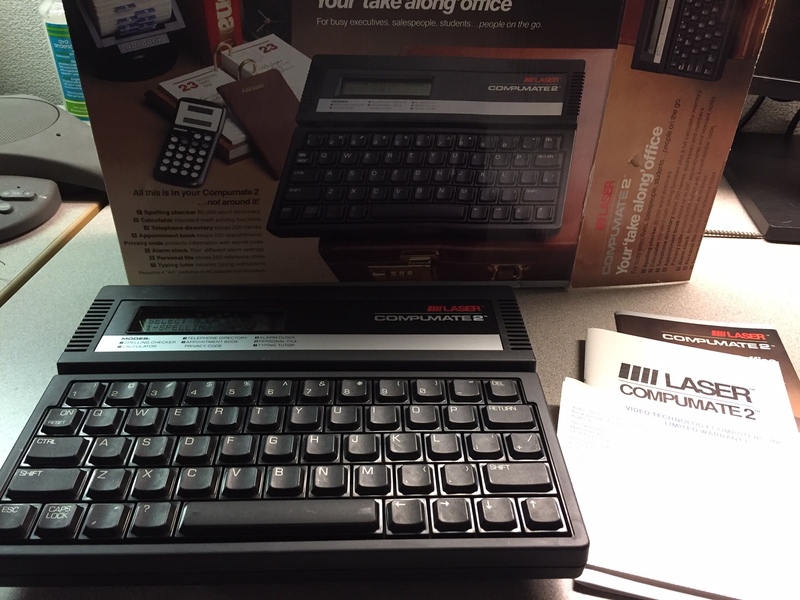 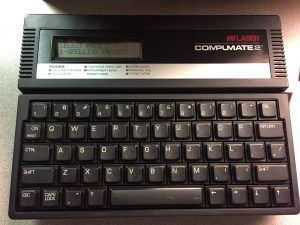 While more of a PDA than a full-fledged computer, the Compumate 2 represents a class of low cost notebook-like systems that were popular through the late 1980’s and early 1990’s before touch-screen handheld devices became mainstream. 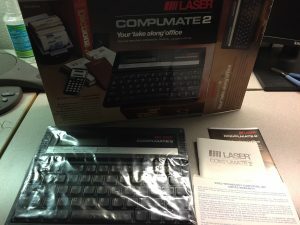 Our unit is complete, in box, and fully functional. Physically it is in mint condition and likely never used before being added to our collection. 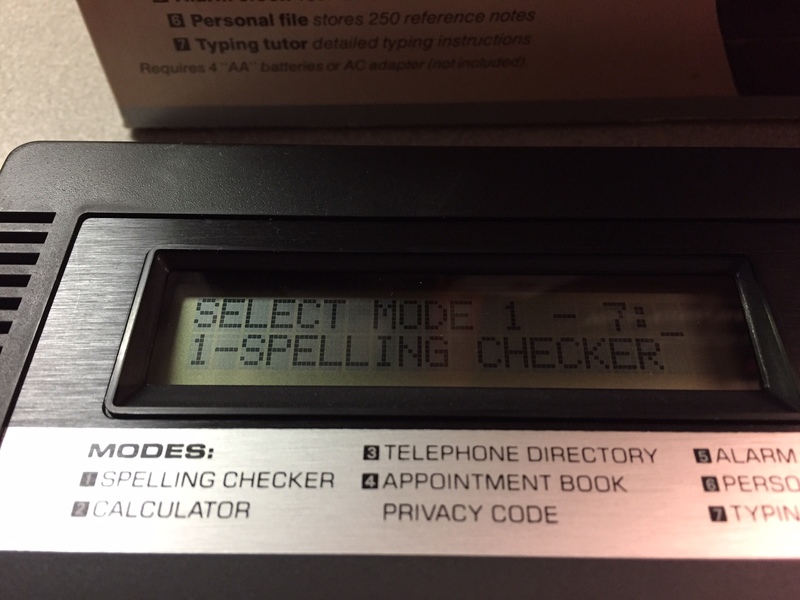 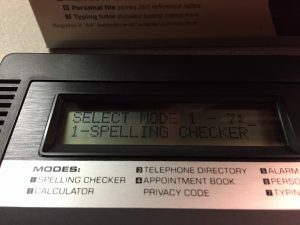 Basic functions include spell checker, calculator, phone book, appointments, clock, notepad, and typing tutor.